Integrity, knowledge and excellent service – these aren’t just words, they represent how IBP Houston does business. Whatever your needs, you can trust us to offer high quality products and service. 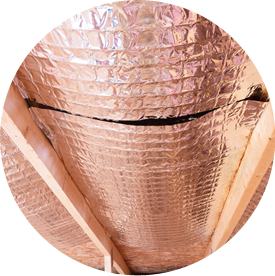 A variety of services – from attic retrofit insulation to new construction commercial insulation, we can help you improve the energy efficiency and comfort of your home or building. We install fiberglass, radiant barrier, spray foam and cellulose. Welcome to IBP Houston, your source for professional insulation in the Houston, Texas area. We are industry leaders; and builders, contractors and homeowners know they can count on us to get the job done right, on time, on budget and safely. We specialize in fiberglass, cellulose and foam insulation and radiant barrier solutions for homes and commercial buildings. We can also remove insulation from your retrofit and remodeling projects. Are your energy bills higher than normal? You may need to re-insulate your home. We have found that insulation is one of the best ways to increase the energy efficiency and comfort of homes all year long. 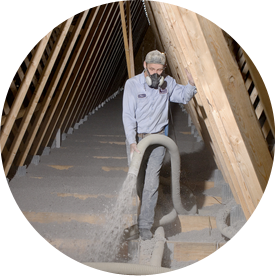 IBP Houston can insulate your attic, walls and crawl space to help you save money and live more comfortably. If you’re looking for insulation companies near you, IBP Houston can help! We provide residential and commercial insulation services and look forward to working with you on your project. As part of the IBP family of companies, we offer the expertise and resources that few local companies can match. Get in touch with us to learn more about our services—contact us online or call 281-653-8382281-653-8382! We install insulation, garage doors and gutters in new and existing homes as well as at commercial sites. Let IBP Houston help make you more productive and more efficient. Welcome to IBP Houston, your source for professional insulation and other products for the home. Builders, contractors and homeowners throughout the IBP Houston area depend on us for a variety of products and we are proud to serve them.